KitchenAid is entering the smart home category with its innovative KitchenAid® Smart Oven+ with Powered Attachments, being launched in 2019. Winner of a CES® Innovation Award in the Smart Home product category, the brand is making its smart home debut by empowering makers to bring their creativity to life in the kitchen. Created from the same founding principles as the iconic KitchenAid® Stand Mixer, the Smart Oven+ features three oven-powered attachments, equipping makers to expand upon their culinary skills to grill, bake, and steam within one appliance. 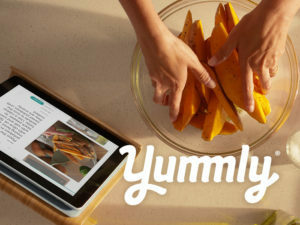 The Smart Oven+ will work with the Yummly® app, allowing home cooks to customize cooking to personal tastes, nutritional needs, and skill level. 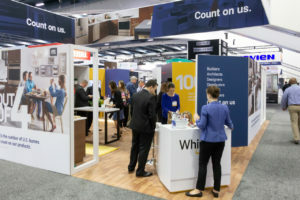 "Our vision for connected KitchenAid® products is to give makers the tools to expand their abilities in the kitchen and unlock new cooking possibilities," said Christy Hoskins, senior brand manager for KitchenAid. "We were inspired by the KitchenAid Stand Mixer – we wanted to create an appliance that would have the same versatility and multi-functionality, just as the stand mixer's culinary center has done for 100 years. 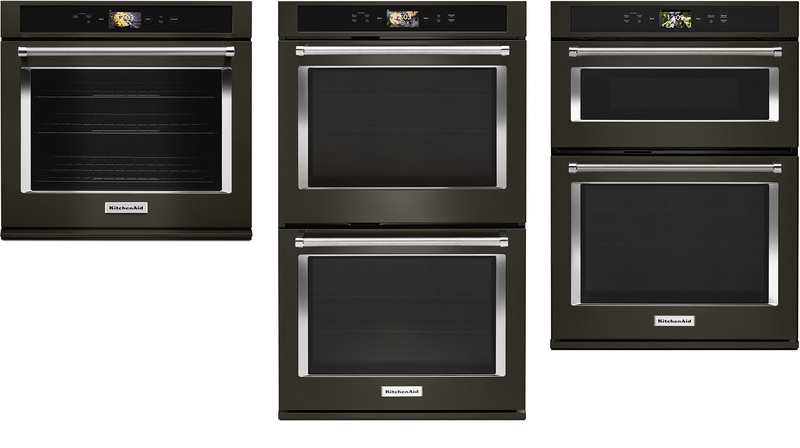 The Smart Oven+ is the realization of that vision." KitchenAid™ App: Need to extend your baking time, or check the cook time remaining on your lasagna? The KitchenAid App provides control whether the maker is in or out of the kitchen. With the mobile app, users can view the system's status, direct a variety of operations remotely, and receive notifications and alerts. * Compared to baking stones of similar size, weight and material. ** Steamer and Baking Stone attachments will ship separately. † WiFi & App required for connected features. Features subject to change. Details and privacy info at kitchenaid.com/connect and yummly.com. 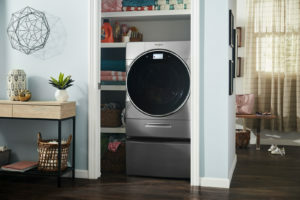 Appliance must be set to Remote Enable for remote control capabilities. †† Voice control availability may vary by region. Google® is a trademark of Google LLC. Amazon and Alexa are trademarks of Amazon.com, Inc. or its affiliates. CES® is a registered trademark of Consumer Technology Association (CTA)™.